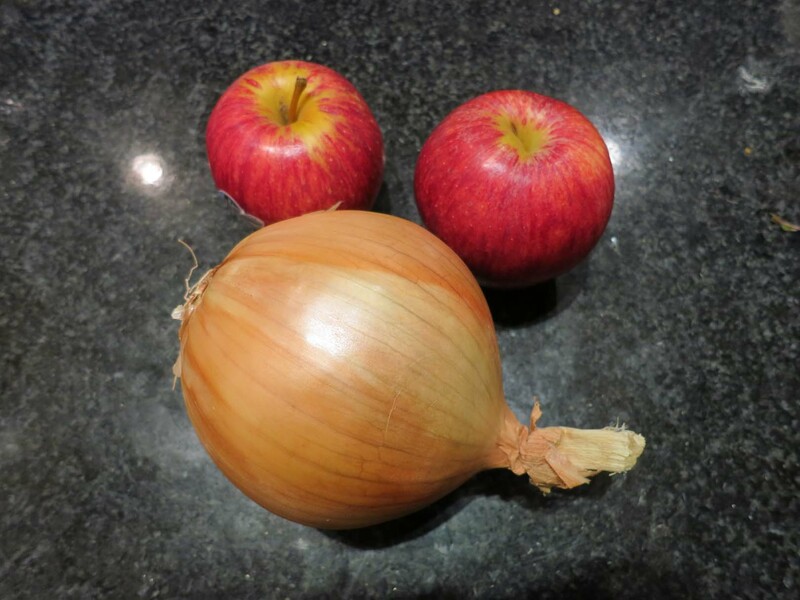 Slice apples into thin wedges, and onions into wedges (not half-rings, wedges keep their shape better when cooked). Heat your fat over medium heat in a large non-stick skillet until a drop of water sizzles in it. Add in the thyme first and stir it in the fat for about 10 seconds before adding the remaining ingredients. 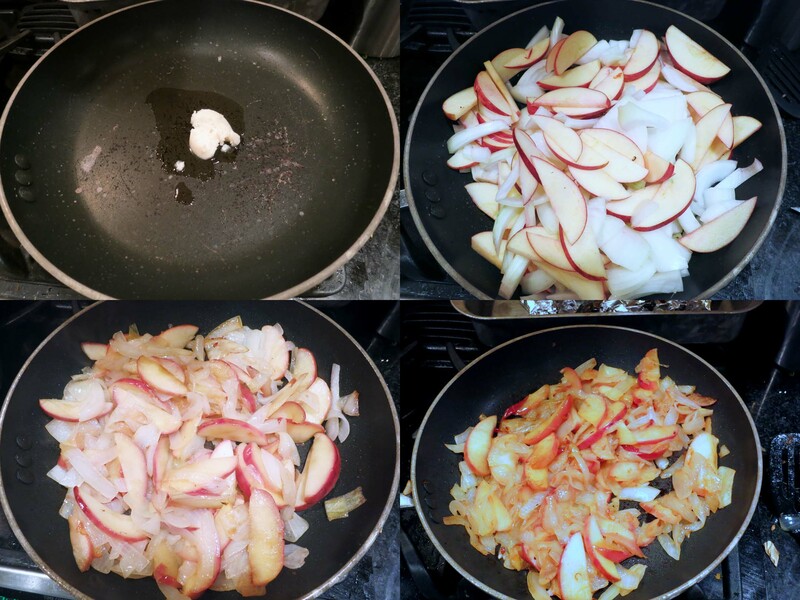 Saute the apples and onions until tender. Crank the heat up to high and let things cook, undisturbed, until the apples and onions start to brown on the bottom. Give them a toss, add more seasoning if desired, and serve immediately. 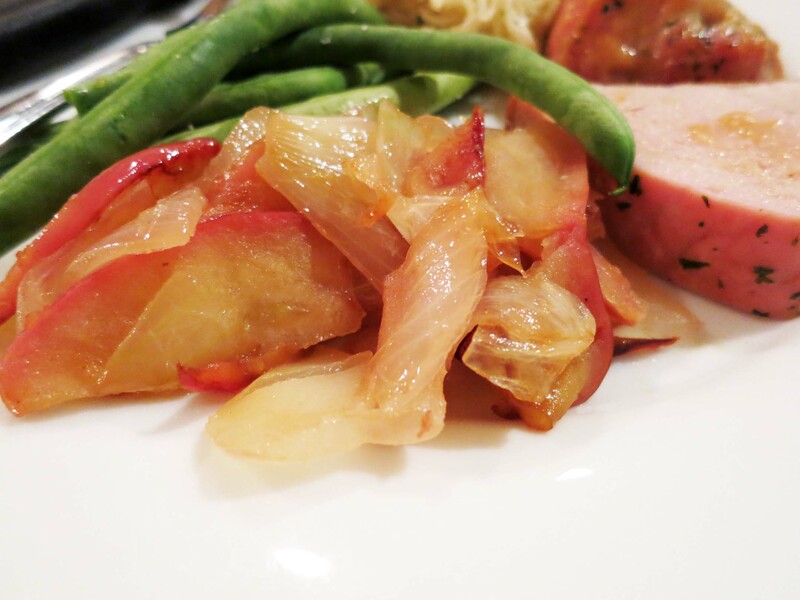 I get the impression that Almanzo’s apples n’ onions were a little more crisp at the edges, but these make a great side for pork or chicken– very autumn-ish. (that’s a word, right? Sure it is…) I can see someone wanting to eat a lot of this dish– it’s sweet and savory all at once, very good comfort food.